Old link and user was removed, this is an archive of all the information and links to his software. All content belongs to OPL. I WILL NOT UPDATE THIS PROGRAM AND CANNOT. Welcome to opl's Model Creator thread! 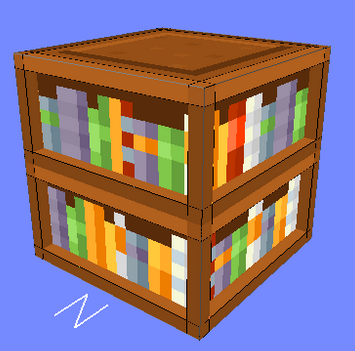 opl's Model Creator is a 3D model maker for Minecraft supporting unlimited amount of elements, textures, uv mapping and much more. It has been tested with Minecraft versions 1.8, 14w32d, 14w32a, 14w30c, 14w29b, 14w29a and 14w28b. All of them successfully loaded and rendered models created with this tool. smart snapping dialogs to main window. If you have any suggestions feel free to post them here! appreciated, but is not compulsory. + Added support for flipping textures. * Fixed loading model with cull face set returns error. * Fixed copying elements doesn't copy all properties. * Fixed dialogs going over all other applications. + Added support for textures with size different than 16x16. + Added "New element" option to Edit menu. + Added undo and redo with up to 150 actions. 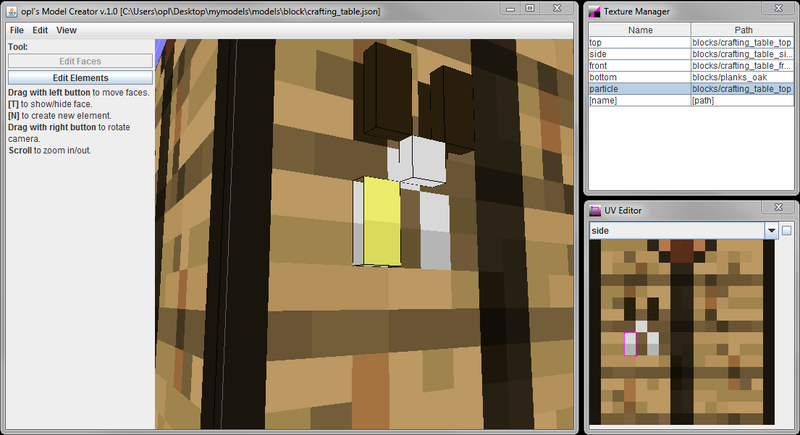 + Added "C" button in Texture Manager allowing to open file chooser to select texture. + Added mnemonics for most menu options. + Added Face Data Settings dialog. + Added texture rotation support. + Added ability to set tint index (not rendered). + Added ability to set cull face. * Improved UV Editor once again. 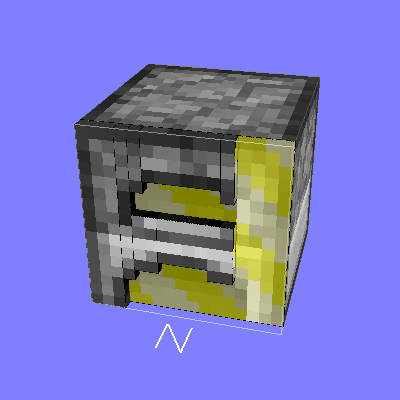 * Reduced lag when changing texture of multiple faces, toggling "Minecraft calculated UV" option in UV Editor and when toggling visibility of multiple faces. 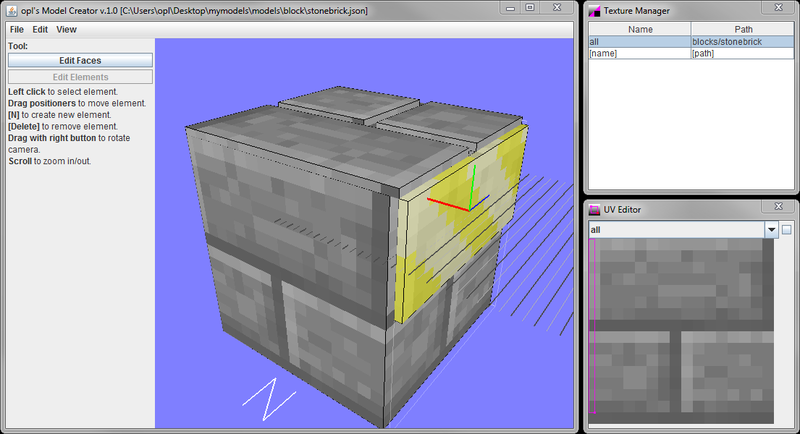 * Renamed checkbox "Let Minecraft calculate UVs" in UV Editor to "Minecraft calculated UV". 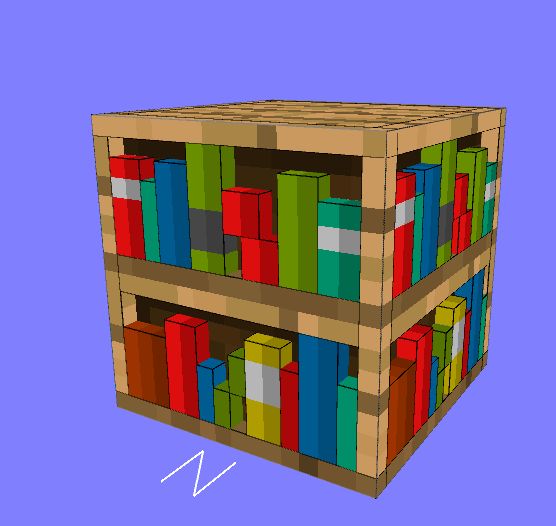 * Fixed selection texture rendering incorrectly on 3D view when element is out of regular Minecraft block size. * Fixed changing texture name after defining it allows creating multiple textures with the same name. * Fixed holding control in some cases produces unexpected results in 2D views. * Fixed multiple elements are impossible to move at once in 2D views. * Fixed errors occurring in some cases when drawing 2D view with more than 32 elements and at least one selected element. - Removed limitations of how much element can go out of regular Minecraft block size in 2D views. * When exporting, UV values and elements' from and to positions ending with .0 actually no longer end with it. * Fixed textures with size different than 16x16 not being mapped correctly in Minecraft. 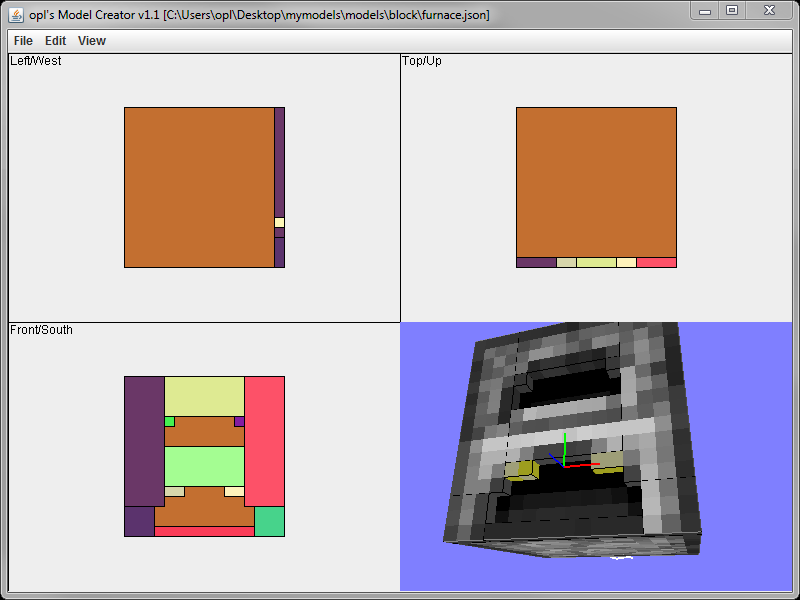 * Improved detecting of what was clicked on 2D views and in UV Editor. * When exporting, UV values ending with .0 no longer end with it. * Fixed changing texture for invisible and visible faces at once changes invisible faces texture. * Fixed clicking on y-axis positioner through not selected face grabs that face and not positioner. * Fixed Texture Manager not displaying last row after creating new texture. * Fixed Texture Manager creating new texture after editing [path] in the last row. + Added possibility to specify custom paths on disk to textures that will not affect Minecrafts path. + Added selecton of multiple faces at once by holding control. * Merged all tools into one. * Added camera movement in UV Editor. * Changed default folder file chooser opens to .minecraft (Windows only). * Changed some code to make it easier to use. * Grabbing a face in UV Editor automatically unchecks "Let Minecraft calculate UVs" checkbox. * Fixed UV Editor not grabbing UVs when clicked near borders. * Fixed "Save as..." switching file that program works on to selected file. * Fixed clicking on Cancel in file chooser when closing program doesn't cancel it. * Fixed texture of selected face changing to texture that was just modified. * Fixed last selection still being visible after loading new model. * Fixed textures not clearing if loading model fails. * Fixed transparent textures not rendering transparent in 3D view. - Removed left panel with tool selection and help. - Removed limitation of how much model can go out of its bounds. + Moved all dialog menu items to separate submenu. that my editor is missing some feature, I can't add it. 3. Tell your friends. Maybe they have an idea for a really nice model to make but they didn't have tools? 4. Donate and fund me a box of juice. If you created some tutorial, feel free to post it in this topic so I can add it here! a screenshot of it in this thread so I can feature it here! grabbing corners of pink square. Make sure that you have unpacked all files from the zip file you downloaded to one folder. If a program used to browse archives like 7zip or WinRAR open when you double click the program and you're on Windows right click it and go to Open with > Java(TM) Platform SE binary. If after doing the previous step the program doesn't open, make sure you have Java 7 or Java 8 installed. If you don't, you can download it from here. If after following all previous steps the program still doesn't run, open console by (Windows) holding shift and right clicking in the folder the program is in (make sure you don't have any files selected) and clicking on the Open command window here option, Then type java -jar "Model Creator.jar" and run the command by pressing enter. If any error appears in the console, copy it, send it to pastebin and post a link to it in this topic. whenever i try to open the file it does nothing. any way to fix this? ?